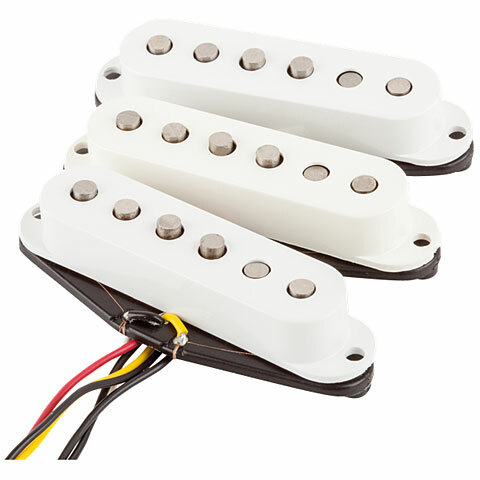 Fender now offers a variety of good replacement pickups for a wide range of applications. Since the beginning of 95, almost all pickups, which Fender uses in their guitars and basses, are also available separately and at a reasonable price. 3x single coils in the set, with the middle pickup "reversed" polarity to suppress noise in the intermediate positions. More output and highs than Am. -Std, with the bridge pickup slightly raised with 7.4 kOhm. This item was given an average rating of 5 out of 5 stars. No review about this product has been written yet. 7 ratings exist without a text or these reviews are written in another language.